Sarah Blyth at 2019 National Day of Action event in Vancouver. Photo credit: Andrea Woo; used with permission. Sarah Blyth, executive director of the Vancouver Overdose Prevention Society, explains what’s needed to address the rising epidemic of overdose deaths: safe supply of drugs, decriminalization, a better approach to mental health – which is to say, action from all levels of government. She also discusses the experience of working in the heart of the crisis, the trauma, the stories from family members of victims, the advocacy work, the drugs involved, and more. This interview was recorded when Sarah was in Ottawa, December 2018. She was here to testify at the Parliamentary Standing Committee on Health, about the impacts of methamphetamine abuse in Canada. The audio of her presentation from the committee is embedded here (or mp3 file link) and there’s the transcript/audio of the full hearing with other witnesses and Q&A. The PSA (Public Service Announcement) video, for the April 16 National Day of Action on the Overdose Crisis, is viewable below. A transcript follows. The video is also posted on Youtube, Facebook, and Twitter, and can be downloaded via archive.org for reposting. See coordinating organization capud.ca for more on the National Day of Action. 1) Declare a National Public Health Emergency. 2) Make #SafeSupply the Fifth Pillar of the Canadian Drugs and Substances Policy. 3) Make Heroin Accessible: Get Heroin a Drug Identification Number. 4) Decriminalize People Who Use Drugs. 5) Provide Emergency Federal Funding for Overdose Prevention Sites. Graph of data from Public Health Agency of Canada (source link here). Powershift 2019: Young and Rising takes place February 14-18. With environmental and climate problems increasing, it’s good to look back and see what knowledge can still be applied and lessons learned as effective action on climate change becomes increasingly more vital. 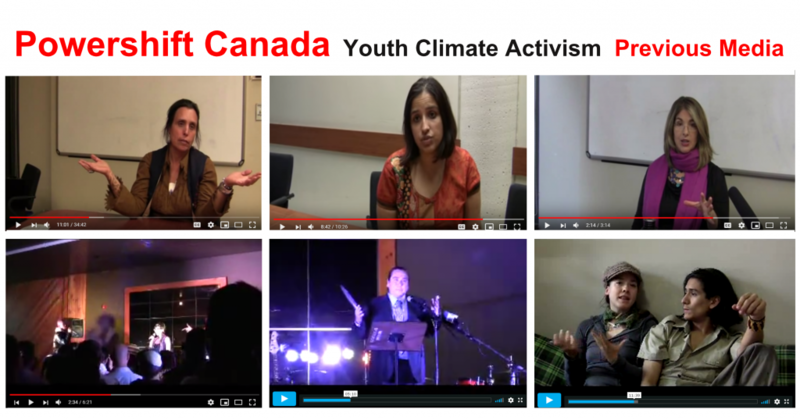 Below are three videos from each of the two previous national Powershift Canada youth climate activism convergences, 2012 and 2009, as well as a lead-up article to the 2009 gathering and two related pieces. Videos are also embedded further below. AUDIOS of mayoral candidate Clive Doucet and of Chief Harry St. Denis. 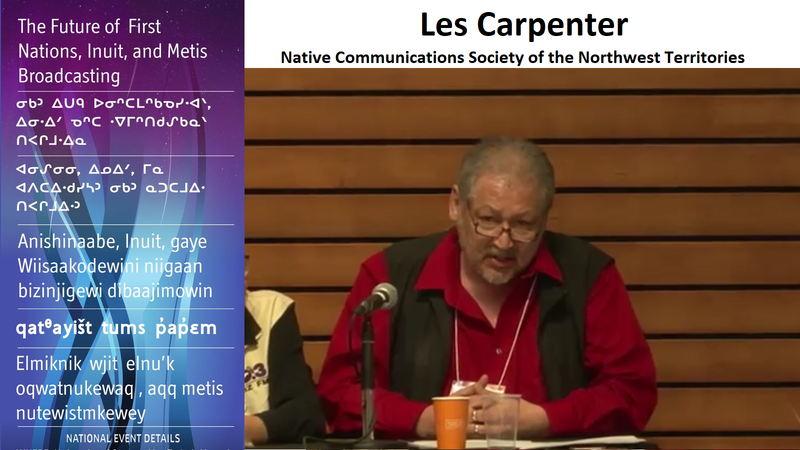 VIDEOS of Carleton PhD student Kanatase Horn and of Algonquin Anishinabekwe and grandmother Verna McGregor. *Note that ‘the views expressed in these recordings are those of the speakers themselves’ and are independent of each other and of this website. 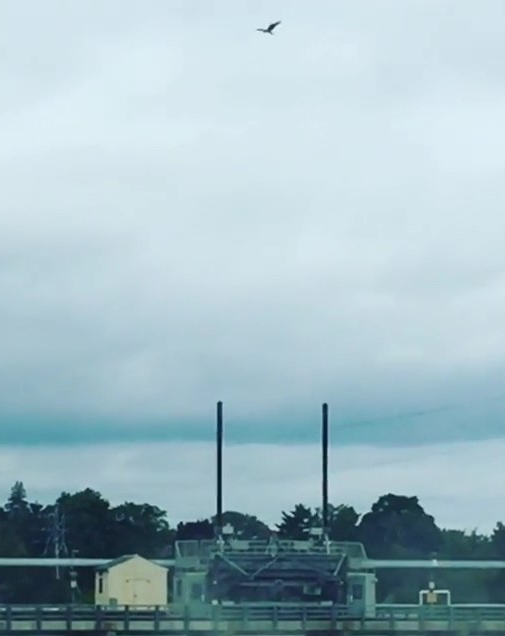 The sacred site at Chaudiere Falls in Ottawa is under more attention as the National Capital Commission recently announced that they will soon be no longer allowing public access to Victoria Island, for the next seven years. Victoria Island is the island most downstream from the falls and not subject to the controversial Zibi development project, that is often used for ceremony, and was the site of Chief Theresa Spence’s Idle No More hunger strike/fast. The Zibi developers have announced that the first occupancies of their project (on the Gatineau shoreline, then the two islands closest to the waterfalls) will happen this fall and winter, while the full development will still have several years until completion. These recordings are posted here for those who would like to understand more about the need to protect the site, the failure of development-approval and Indigenous rights processes for these circumstances, its situating within the larger colonial project of the Canadian state, and the significance of the site for the Algonquin nation. The first recording is especially timely with the Ottawa municipal election on October 22. There is also an upcoming panel discussion – “Reconciliation: Re-Membering Creator’s First Pipe” – taking place in Ottawa the afternoon of Saturday October 27 for those interested in learning more. The planned speakers are Lynn Gehl, Albert Dumont, Lindsay Lambert, and Randy Boswell. Tickets are required, at $22, and approximately two-thirds of the 100 seats have already been taken, as of Oct 15. “Dying To Please You” co-authors Roland Chrisjohn and Shaunessy McKay look to capitalism and colonialism as root causes, while We Matter organization empowers youth and MP Charlie Angus puts forward motion for national plan. available as 4-pg PDF version to print/read offline or use as handouts for schools, offices, events, etc. 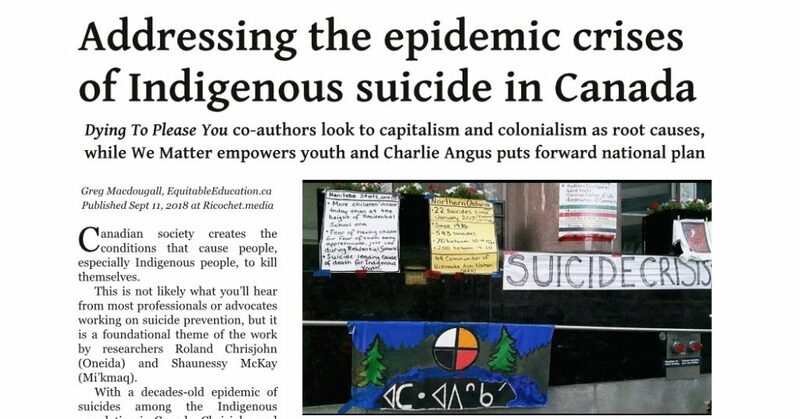 This article features the perspectives of Roland Chrisjohn and Shaunessy McKay, co-authors of the 2017 book “Dying To Please You: Indigenous Suicide in Canada”, as well as looking at: the work of the We Matter organization; the child welfare situation and the First Nations Child and Family Caring Society’s advocacy; and MP Charlie Angus’s private members motion for a National Suicide Prevention Action Plan. The link to free full PDF of ‘Dying To Please You’ is included. The article also mentions Tanya Talaga’s five-city CBC Massey Lectures, based on this topic, that were upcoming at the time of publication. See below for links to the references in the article and embedded multi-media (audio and video). Also ADDITIONAL (not in article): Talk by Roland Chrisjohn, “The Psychiatrization of Indigenous Peoples as a Continuiation of Genocide” from Sept 2018. 60min, the last 3min are specifically re the book. 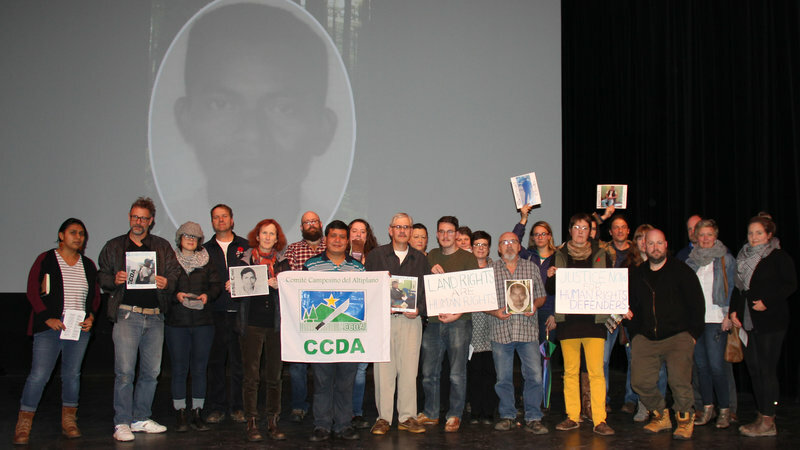 Hope Forum (January 2018) report and Calls To Action. ADDITIONAL (not in article): Interview (mp3 – 13min) from first day of Hope Forum, with We Matter co-founder Kelvin Redvers (first 2min) and participants Olivia Haines and Natasha Cunningham. Charlie Angus with: Randall Crowe (mental health worker from the Deer Lake First Nation); Natan Obed (president, Inuit Tapiriit Kanatami); Grand Chief Jonathan Solomon (Mushkegowuk Council); Chief Isadore Day (Ontario Regional Chief); Julie Campbell (executive director, Canadian Association for Suicide Prevention); Dr. Laurent Marcoux (president, Canadian Medical Association); Mike Villeneuve (CEO, Canadian Nurses Association); and Marilee Nowgesic (executive director, Canadian Indigenous Nurses Association). INAN (Indigenous & Northern Affairs) parliamentary committee report Breaking Point: The Suicide Crisis in Indigenous Communities, with all of the committee’s study activity on the issue. In five cities the second half of October, book version available in October, broadcast on radio in November. What follows is a compilation of links to resources – including printable handouts & zines, audio/video interviews, reviews of books, notes from talks and group sessions, and more – on community/political organizing for social, economic and enviromental justice and postive change, spanning the individual and interpersonal to the institutional and systemic. There is a pilot event Tuesday July 10 afternoon in Ottawa hosted by the new Community Mobilization in Crisis project. 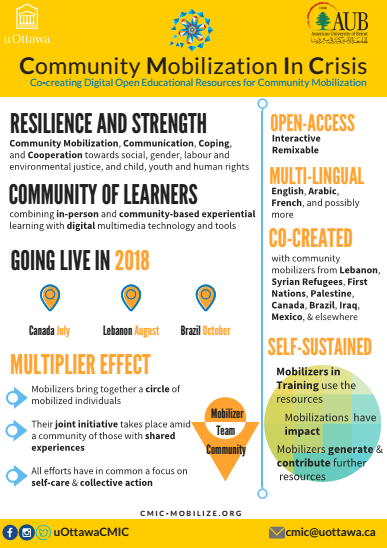 It is with this project in mind that I’ve compiled this list of resources – mainly from EquitableEducation.ca – as a contribution to their “Co-Creating Digital Open Educational Resources for Community Mobilization.” They have further pilot events scheduled for Lebanon in August/September and Brazil later in the fall, and potential events for other countries to be confirmed. Putting these resources together here in one place gives you – and anyone interested – the ability to look at different aspects or areas of community organizing, for consideration on what to prioritize* in improving what you’re currently doing or looking to do. 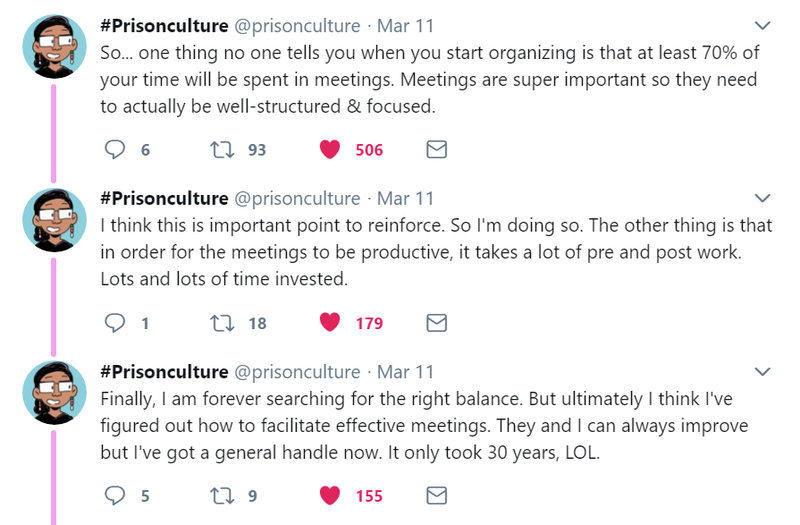 I’ve had unpleasant experiences where I’ve made efforts to have some of these aspects/resources included by people, groups, and organizations in collective work, only to meet with different forms of resistance to what (to me) seem important principles for collective work, especially when specifically relevant to what those situations involved. This approach of making this collection accessible to those receptive / desiring of them – who through applying what’s here will be able to do things in a better way, leading to better feelings, relations and results – is an antidote to pushing these principles and approaches on those who resist their implementation. Here are a variety of resources; from ‘how-to’ practical guides through to more ideas/theory and analysis on approaching organizing. 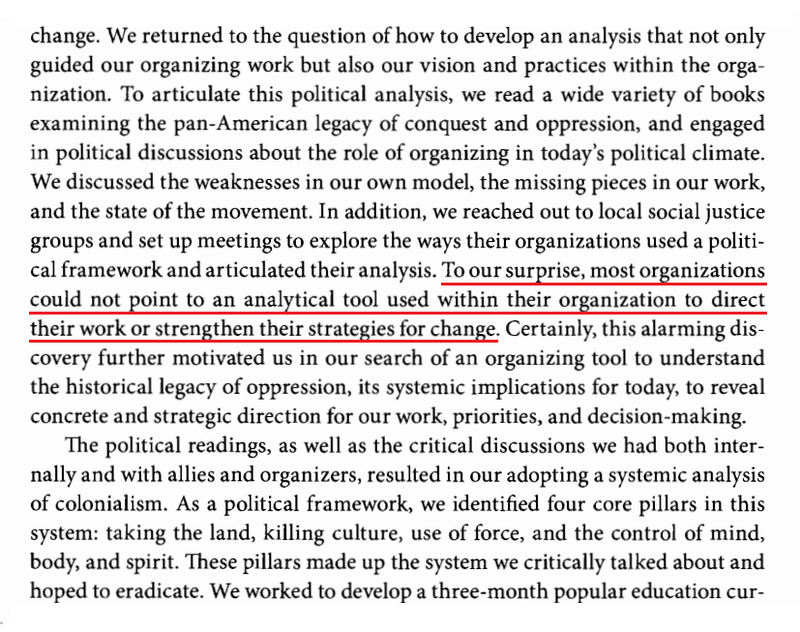 “To our surprise, most organizations could not point to an analytical tool used within their organization to direct their work or strengthen their strategies for change” (Amara H Perez, Sisters In Action For Power). This quote speaks of organizational needs to create better understandings of their situation/ problem/ approach, which most organizations apparently don’t take seriously. It’s from The Revolution Will Not Be Funded book (2007, edited by INCITE Women of Colour Against Violence) which in part examines issues of how funding sources and paid staff often have different priorities and needs than the people or cause that the project/ organization is purportedly for. Perez goes on to explain the four-aspect definition of colonialism their group developed to base their work and analysis upon. This guide is mostly content from AORTA (Anti-Oppression Resource and Training Alliance). There’s also an article from a facilitation training in Kitchener-Waterloo, by someone in the Fellowship for Intentional Communities: “We don’t grow up learning these [facilitation/meeting] skills, so a lot of us actually need to learn from a workshop or a book or practice or something, because a lot of us don’t grow up in institutions that really encourage this way of relating to each other” – Tree Bressen. Collected notes written up after a six-week introductory-style grassroots course on community activism. It includes ideas and discussion of concepts from the course, as well as explanation and appendixes on pedagogy (/learning approach) used in the course & principles for other educational initiatives, plus an annotated reference list. “Kuyek examines the creation of positive social change based on a coherent and wide-ranging analysis of the context in which the work is done and the principles needed to make it effective” based on her decades of involvement in various communities and organizations. This book has three main sections: politics, strategy and organizing. 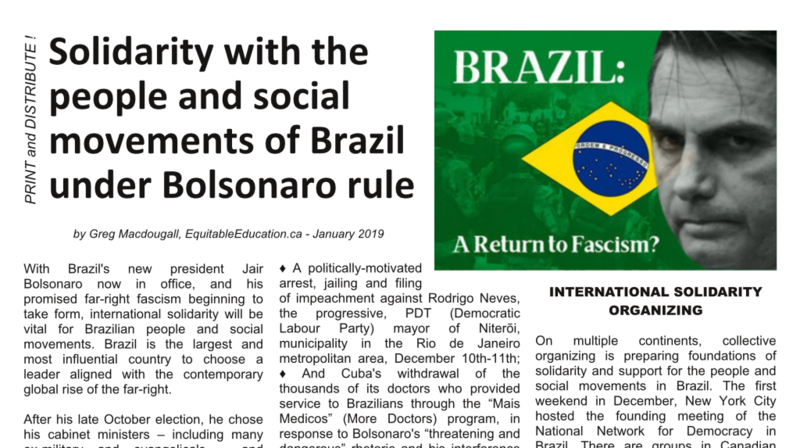 It’s based on in-depth interviews with 47 anti-authoritarian activists and organizers in major Canadian and U.S. cities who organize around principles that are anti-capitalist, anti-oppressive, and anti-imperialist, as well as pre-figurative in that the ways in which the organizing is done in the present already contain elements of the social relations and other aspects of the world that we are working to build. Also with Chris Dixon, an interview from before his book was published – and a two-page handout. “In this model, leadership is a set of capacities and activities, including skills, knowledge, confidence, experience, and responsibilities. The aim is to develop and share these capacities and activities in order to deepen democracy and widen participation. 1. Clear: identifying actually existing leadership roles and practices in our work. 2. Conscious: intentionally designating leadership responsibilities, and being accountable and transparent about what we say and do as leaders. From The Ground Up was a series of over two years 2002-2003 in Kitchener-Waterloo, focused on creating healthy communities. There are some rough notes from an overall strategy discussion, and also specifics: Diversity & Making Membership Accessible; Decision-Making; Environmental; Partnership-Building. Healthy Roots was a conference held in nearby Guelph. It was focused on community-building and the notes here cover the following discussions: Anti-poverty organizing – Community Gardening – Media – The Native experience – Building Communities – Urban Sprawl. Collected notes from ideas, discussion, process, and individual+community activist needs – at the 2011 May Day community consulta in Ottawa for activism on social, economic, and environmental justice and healthy communities. 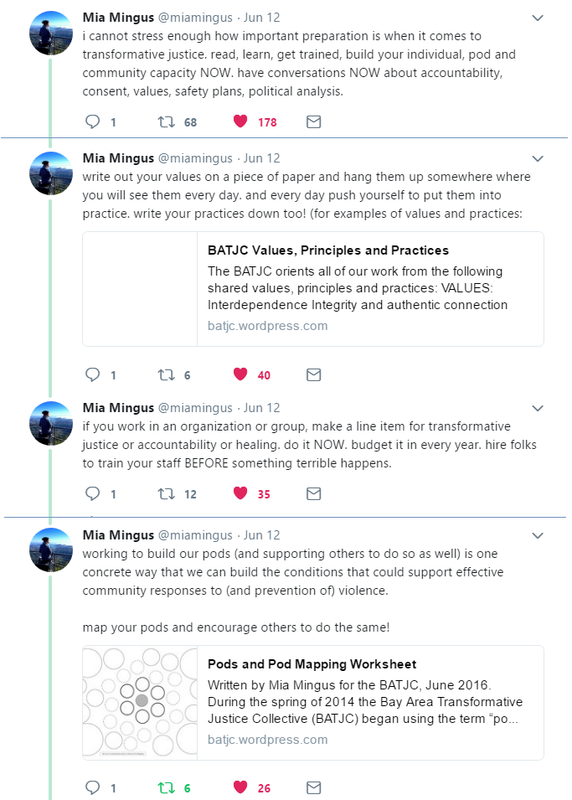 This resource on Disability Justice, an interview with Mia Mingus, gives context to discussion of access and inclusion and goes beyond. It’s important to recognize ableism and other oppressions are located within our movements as well as in the institutions and systems we’re working to change. Mia is also part of the Bay Area Transformative Justice Collective. Areas such as accountability, violence, harm, abuse, support, safety, healing, and resiliency, are important to deal with in community work. There are some more resources that will be added.